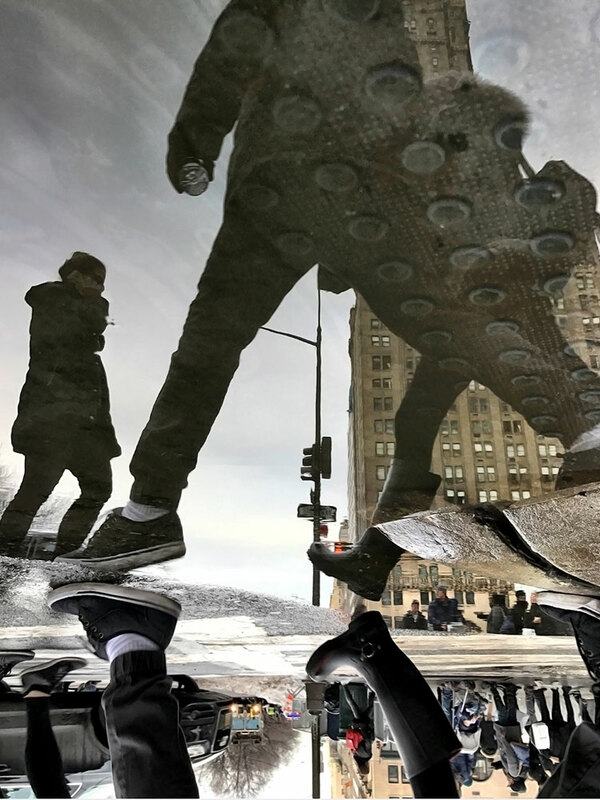 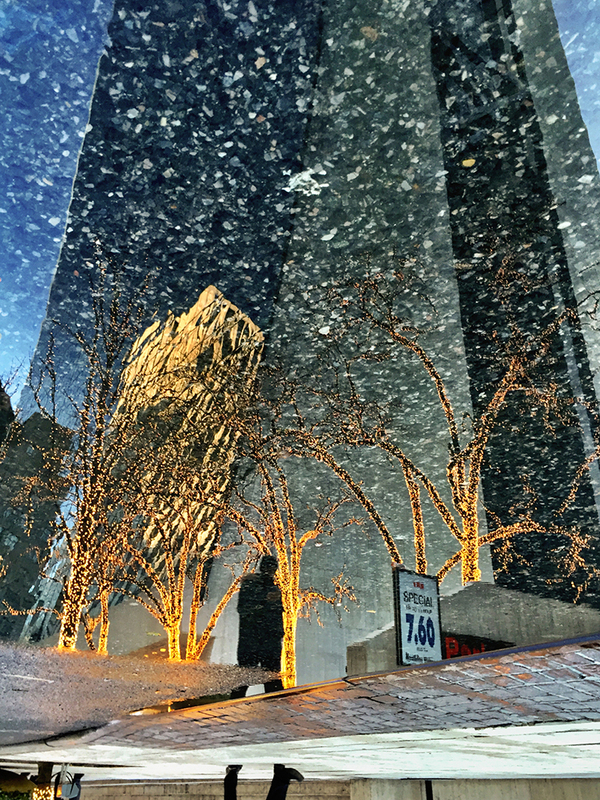 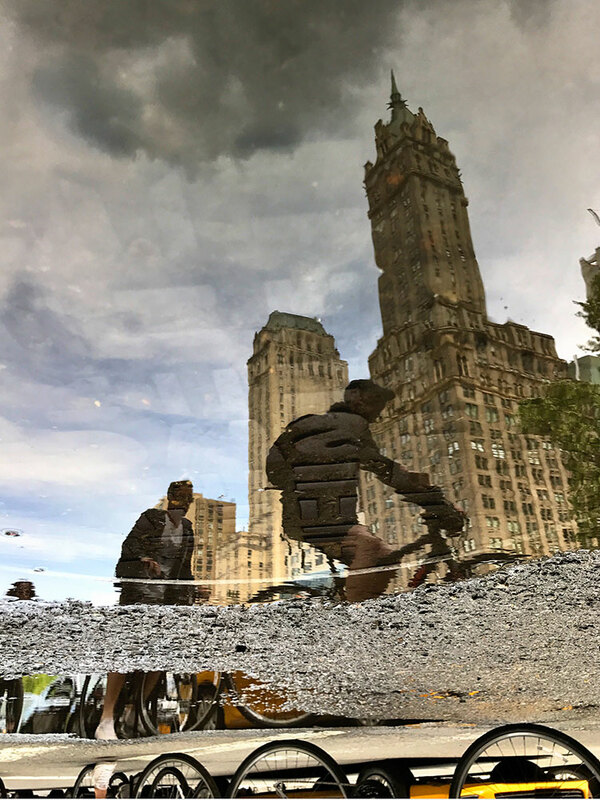 Blurring the line between photojournalism and fine art, Russ Kuhner's "Parallel Cities" collection grew out of his fascination with seeing the tops of buildings rise out of puddles in gutters and on the street. 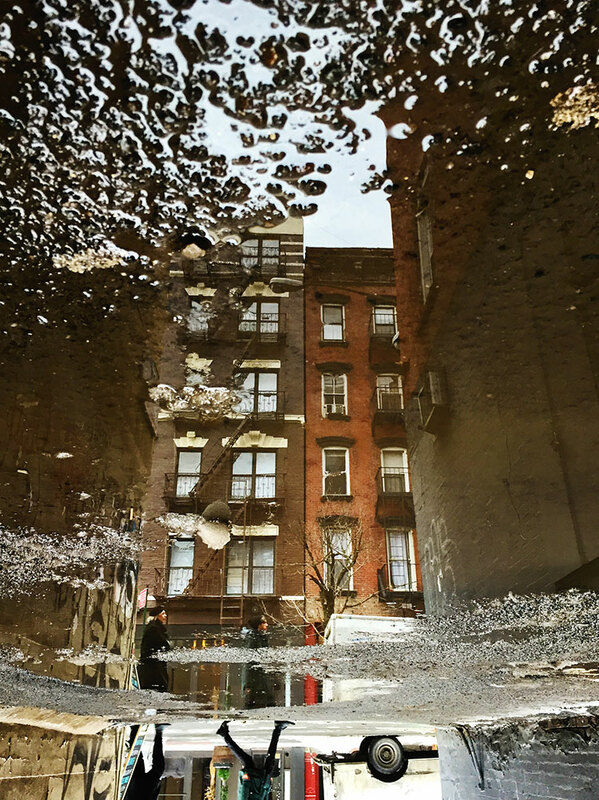 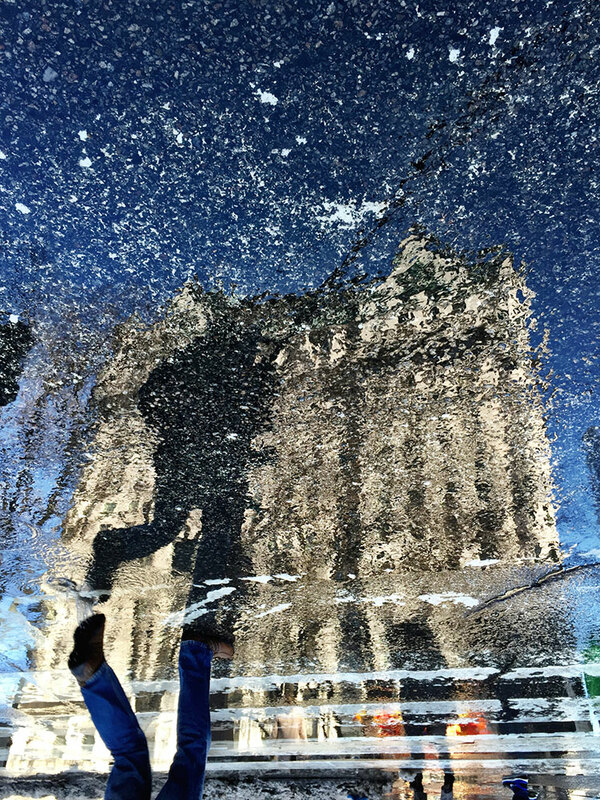 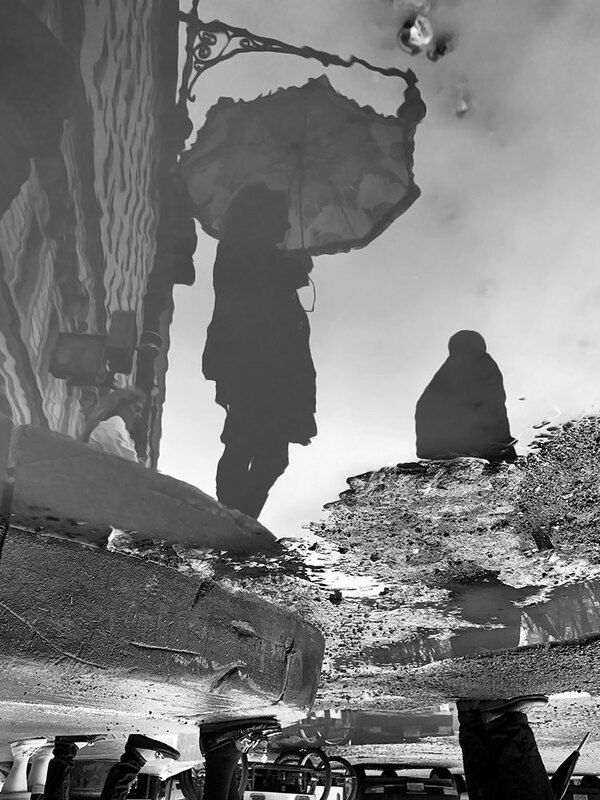 His images suggest a parallel world beyond a puddle’s edge or the boundary formed by a curb. 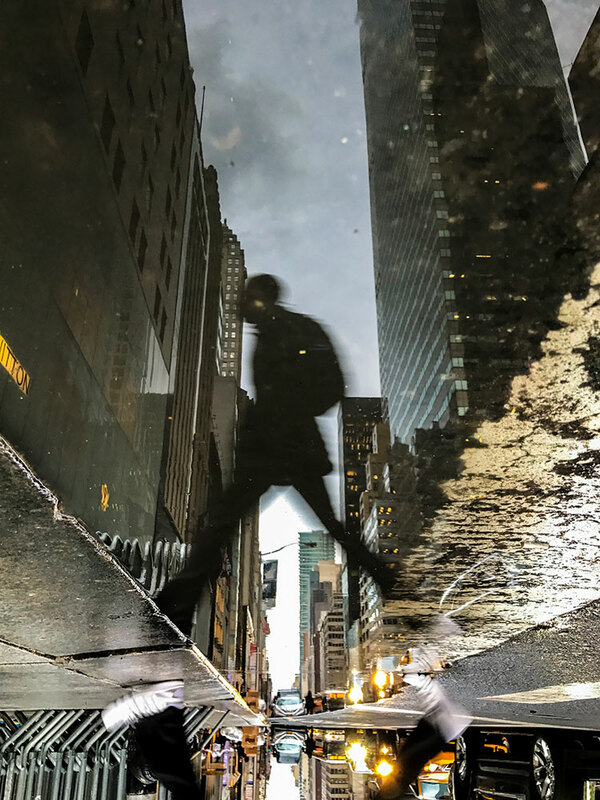 The photographs not only capture people coming and going through reflected cityscapes, the lens simultaneously penetrates the surface of the reflection to capture bits of pavement, leaves and litter. 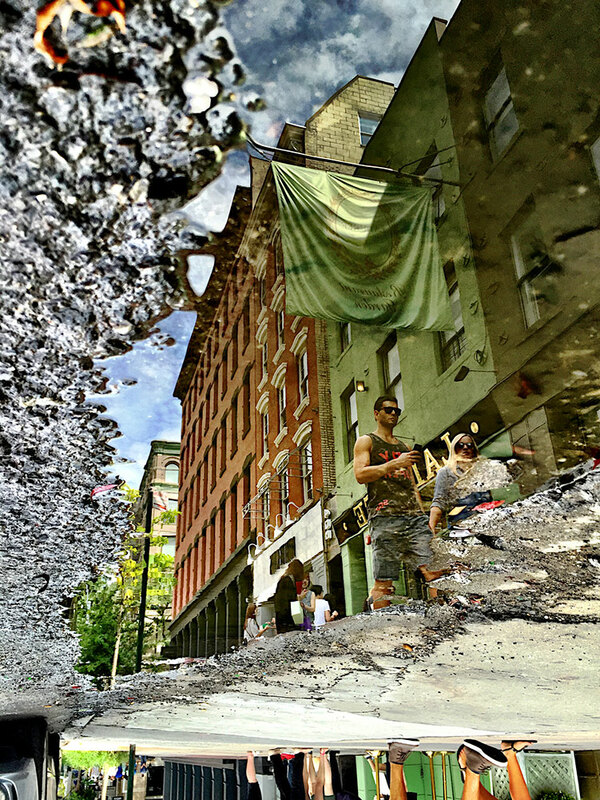 These fragments of grit, layered with people against their familiar surroundings, create a re-vision of place.